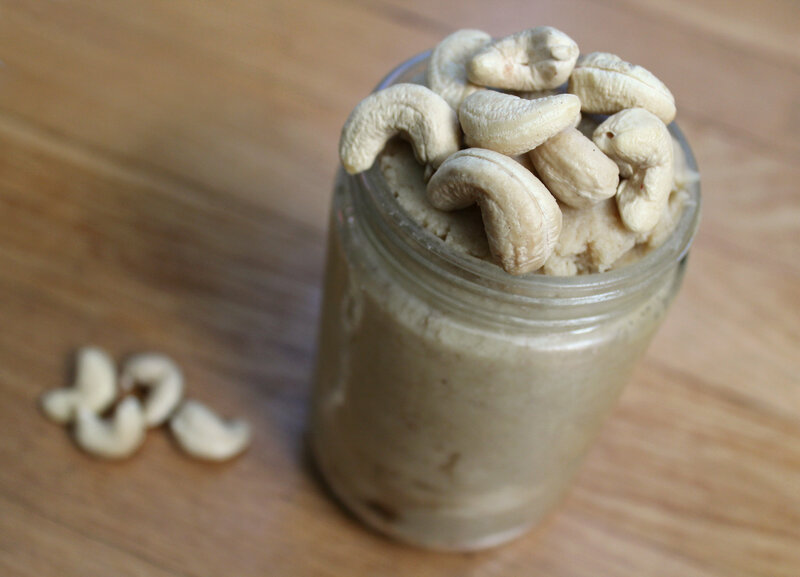 I’ve always wanted to try making my own nut butter. So simple! wow. Wow you’re in high school! 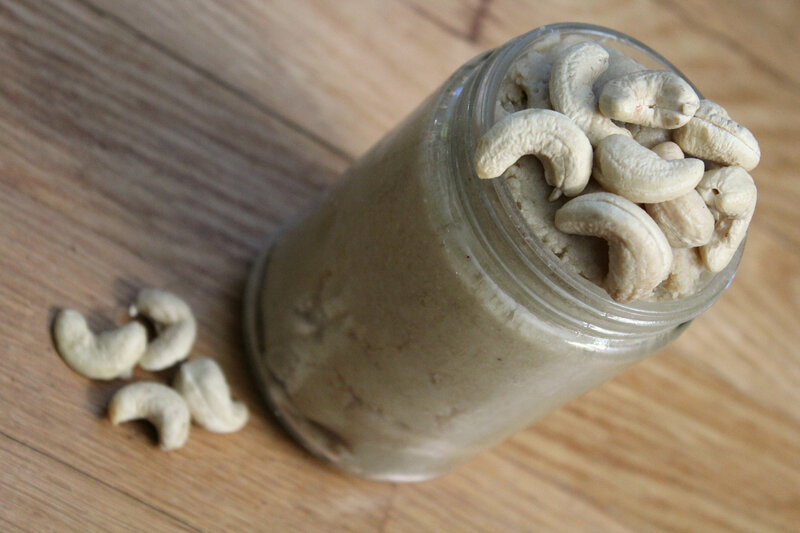 I can’t imagine being in school AND making my own cashew butter. I think my extra-curricular activities included only things I had to do and journaling while listening to music. I’m so inspired. 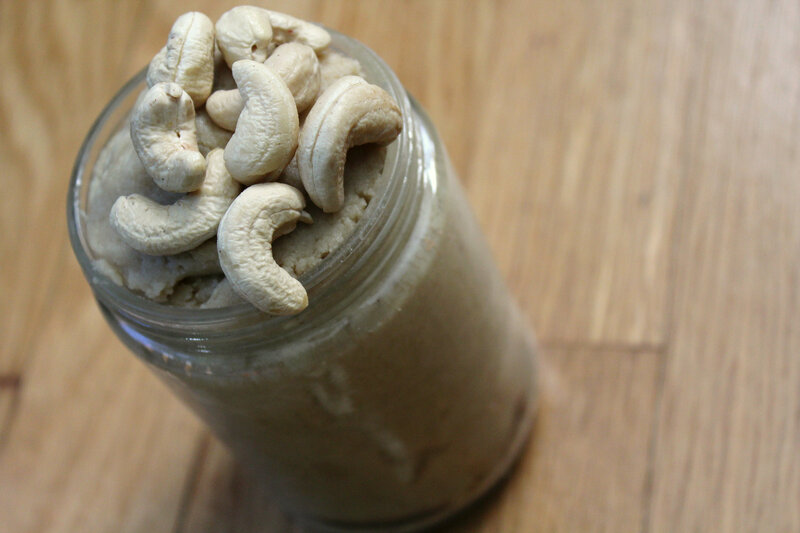 Was it actually cheaper to make your own cashew butter though? Good luck with all your goals. I love spiralizing! I didn’t make any 2014 goals right out, I have a 10 year plan I’m working on that I started last year. Don’t really care when it all happens as long as I get a significant portion completely regularly. Good luck on the reflux too, I’ve been able to heal completely from it. One of the things I’d love to do this year though is to get my 500 level yoga certification (kundalini yoga). I just watched a movie called Yoga Is last night that I’d recommend. It’s just nice. Nice to meet you (found you on Sitssharefest). I used to make peanut butter at home all the time! But now I just buy TJs pb, because it costs about the same as buying the peanuts anyway. 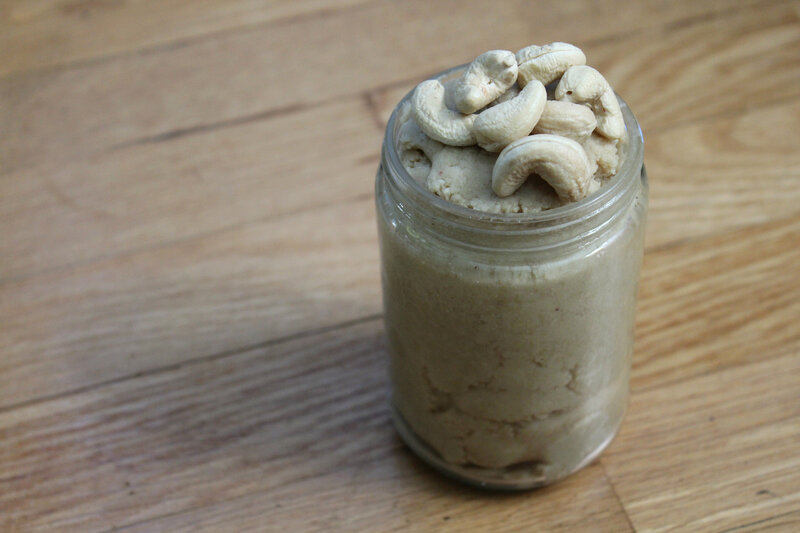 I’ve made cashew butter before too, and it’s delicious! These look like some awesome goals for 2014! I’ve been thinking of a lot of the same guiding purposes actually— a Crossfit class, switching to self-hosted, going heavier with weights, and attending a blogger conference— but there are some things that I just want to see pan out before I jump into those things particularly. I DO want to graduate and go to a great college though! I also hope to go through this year with a greater awareness of the little things. I’m often trying to rush through everything and get to a destination ASAP, but I want to take time to appreciate each moment and opportunity God gives me. I totally agree with the brushing through everything! I need to learn to appreciate life and all its moments. I need to breathe and slow down…calm down! PS- I think that is AWESOME about you trying new foods. Isn’t it fun? It can be scary, but I tell myself- baby steps, baby steps, baby steps. That takes down my fear walls, as I call them, and allows me to take small steps when I can. I feel like as long as I don’t go backwards, taking small steps, or enjoying where I’m at is a good thing:) Oatmeal was a huge step for me this year, and believe it or not, I’m in love! I have never told anyone else this, but since you’re so open about it, why not? I used to pull my hair on my head out when I was a little girl. When I stopped doing it at age 13, I realized it was an actual health issue. I think your honesty about Trich is a great thing. 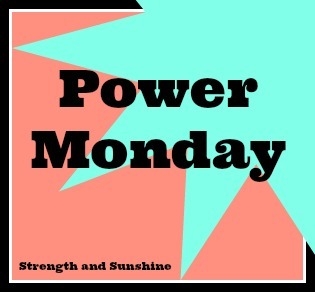 Plus, did you know it’s tied to people with disordered eating? I realize now it was a sign for me. Always a need to find control and a release somehow. That’s what it was for me, just like my disorder. You are the absolute sweetest Heather! Yoga have become so special for me and I want to be able to share it with EVERYONE! I can never say enough good things about it. Changing up my breakfast foods basically every day now was a huge step for me! I am eating so many awesome things and have a huge back up of recipes I need to share on the blog! Trich is definitely linked to disordered eating and OCD which I have of both. It is a way of release and just feels so good once I start it is so so so difficult to stop, but I know I can so I just have to keep working at it. 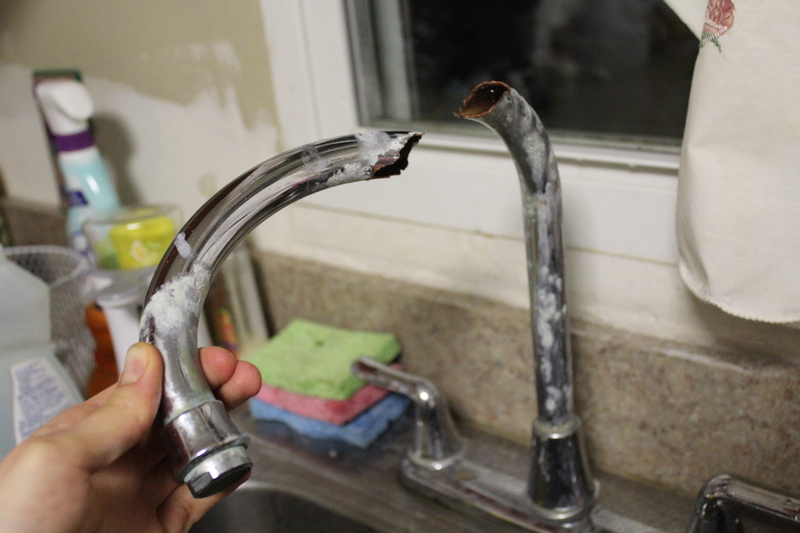 OMG YOUR FAUCET IS UNREAL!!! What on earth!! That’s creepy. And the fact that you were drinking water out of that creeps me out too! Blogger conferences and meet ups ROCK! I am obsessed with them and plan on trying to go to LOTS this year!!! 😀 So far, I think I am going to two for sure! YAY! I have to look into BLEND. I really want to go to BlogHer! I love those goals! I think they are all doable for sure! And I may need to try that nut butter recipe because buying it at the store is soooo expensive! Thanks Kristen! Yes, I know, nut butter can be crazy expensive, especially when it is raw and organic. 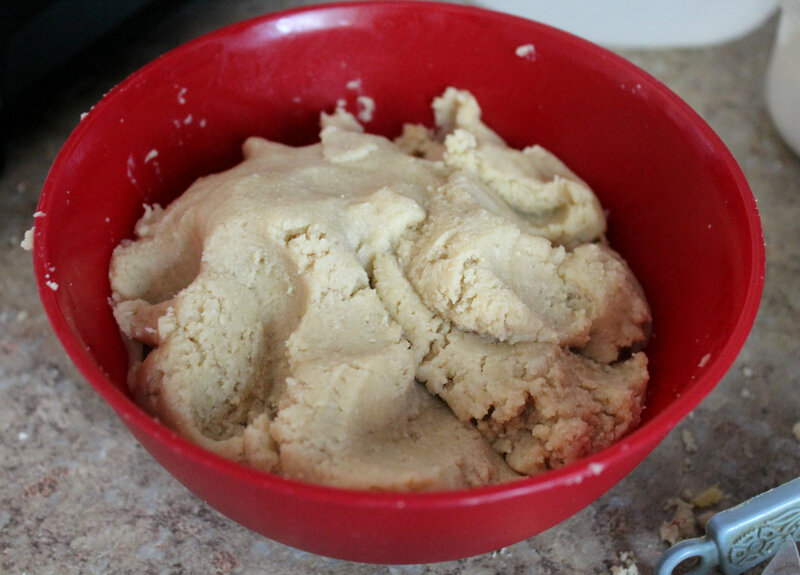 But now that I know how easy it is (and I have a blender that will work with nuts) I can cut down on costs, yay! I think attending a blogger conference would be SO much fun! I’ll have to keep those on the lookout 🙂 Great goals! Thanks Kaitlin! Yea, it would be so cool to finally meet everyone, haha! We read about each others lives every day but most of us have never gotten the chance to really meet!